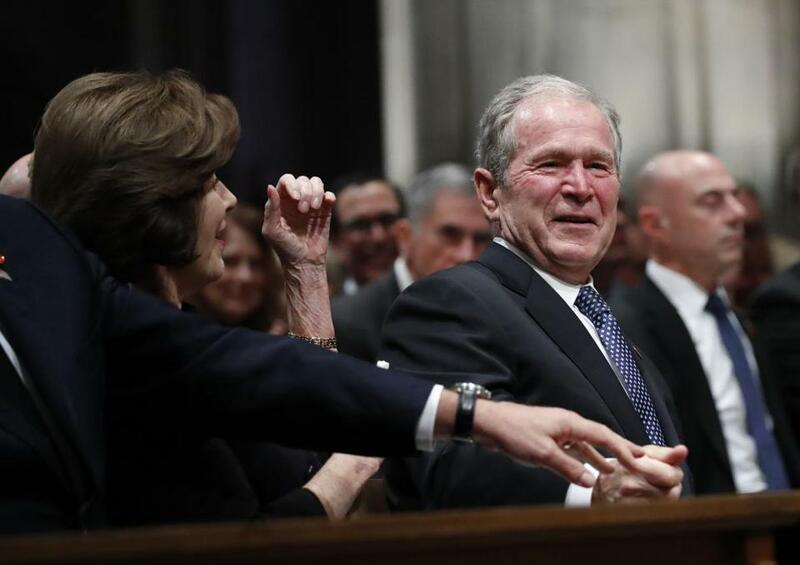 Former President George W. Bush smiled during the services for his father. WASHINGTON — Memories of George H.W. Bush’s underappreciated sense of humor drew laughter and brought smiles to the sorrowful mourning of the death of America’s 41st president. George W. Bush said his father also shared jokes via email with his circle of friends. ‘‘His grading system for the quality of the joke was classic George Bush: The rare sevens and eights were considered huge winners, most of them off-color,’’ the younger Bush said. ‘‘He placed great value on a good joke. That’s why he chose Simpson to speak,’’ the younger Bush said.